Hello, Matt here (MatthewTheBagel on nexus) I'd like to claim plot 45. I plan on building something (not sure yet) maybe Velothi, but I plan on adding a quest to, as well as my persona, and other NPC's to interact with and learn about ModTown by. Hope this is approved, look forward to building, Thanks! - My avatar; Matt The Bagel. - Many of Bagel's Slaves, like Shwizzle the gardener. 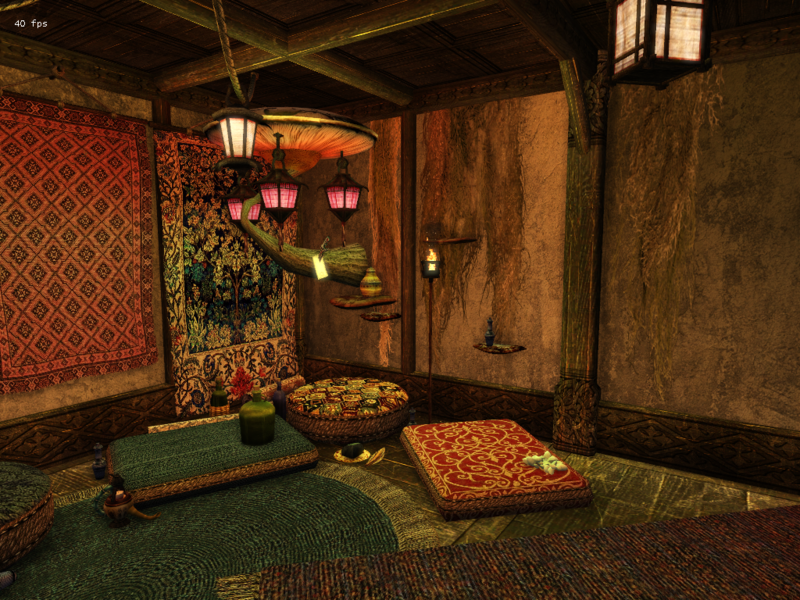 - New interiotrs; A Bar; The Dazed Guar Tavern, in this realm, as well as a Bath/pool area. - A Shack in the garden, with a sink hole in it that leads to a cavern full of a Daedric group. 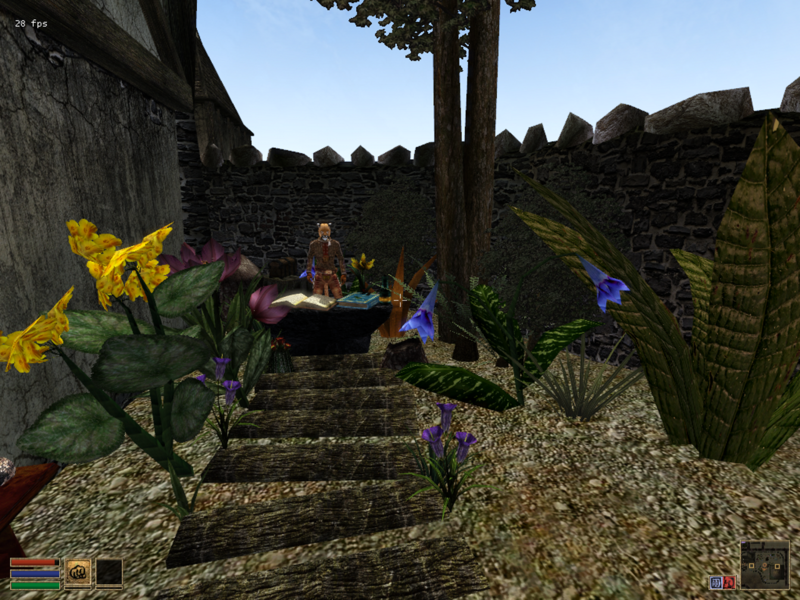 - This sink hole contains a "Daedric Refuge" as well as a small bar area where the daedra hang out, and a housepod where a telvanni wizard lives. 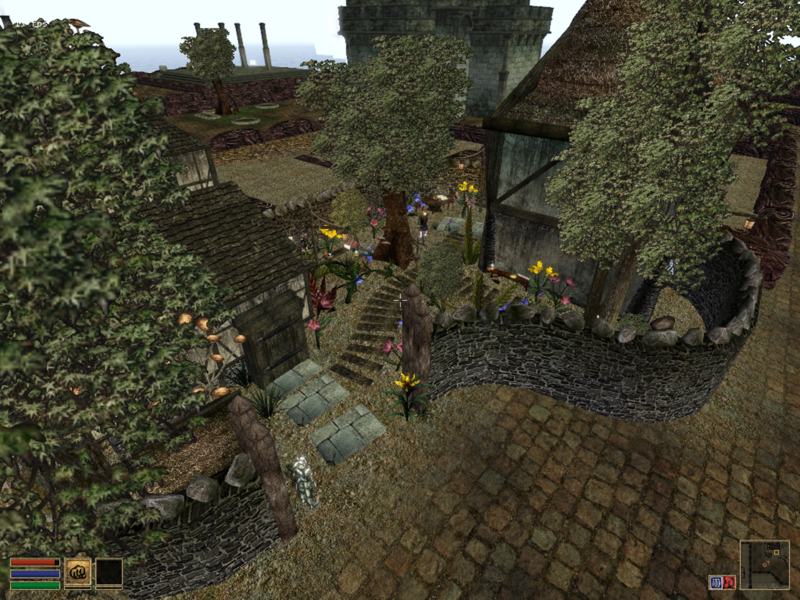 The plot is a Common Architectural style, with 3 buildings, a garden, quests, 13+ interiors, a new realm, and much more. "I could kill that guar. Those boots are ruined." Hey, welcome to the team, MattTheBagel! Your claim is approved, happy modding and let us know if you need any help with the masterfile! Sounds like you're making quick progress! Looking forward to the next update. Hello, so, I'm trying to attach my first image of my mod plot but I keep getting "The upload folder is full. Please try a smaller file and/or contact an administrator." How should I go about putting my pictures on here? Then I copy "Thumbnail for Forums (1)," and then with a few more images, I post. Yeah, I think that the file size limit for whatever host Darkelfguy is using must be full. I haven't been able to attach files for a while... makes it tricky for people to post finished claims, so I hope DEG can address it soon. I add my pictures to the Gallery and then link in my topic directly to the image using the insert image function. "If Death doesn't kill you, then nothing will." "Fate can only do so much for a person, the rest is up to them." Heres a bookshelf, one of many. These will have random commodities, as well as named items refering to mods I have created and other things. 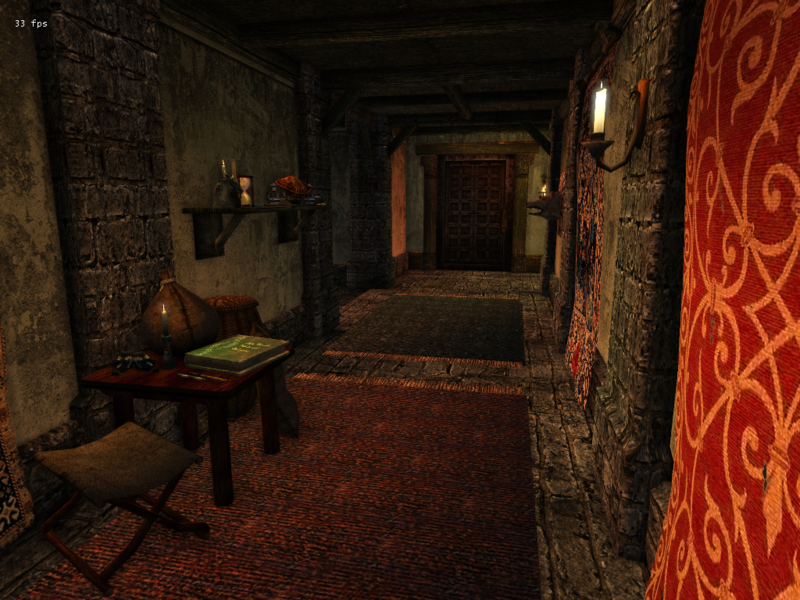 This is where all those filthy cat slaves smoke their skooma and hang out. Still Working on making it look better. Heres a view of the upstairs of the main building, where Bagel resides. The main floor of the main building. 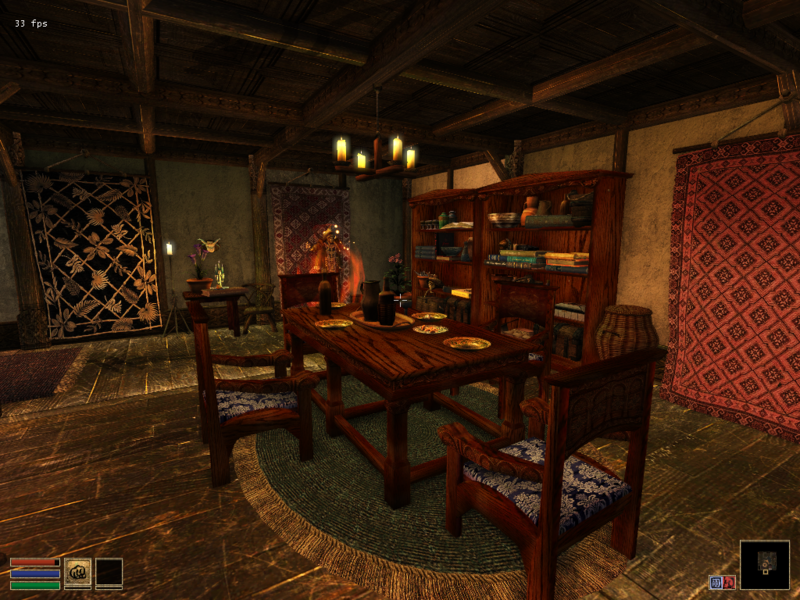 Heres the dining area. More of the main floor of the main building. Small waiting area? and small decor table. 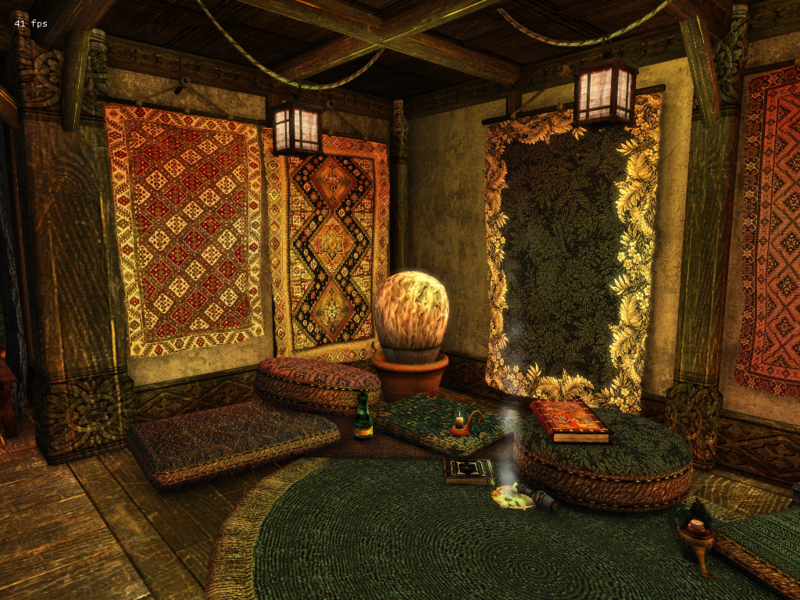 Heres where an NPC may lay down, enjoy the breeze, or read. This is in the garden-area. 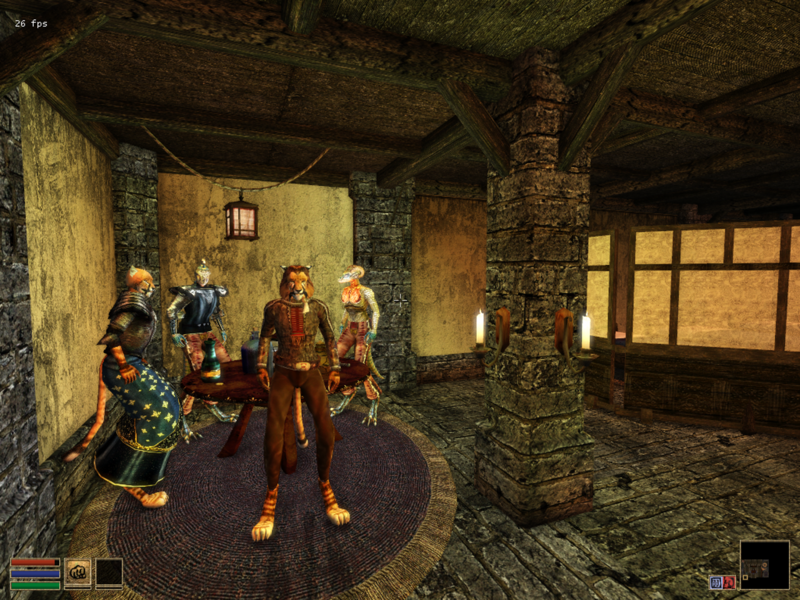 Beast races partaking in a gambling game downstairs in the slave quarters. Just an outside view of the plot to show there will be walls surrounding the homestead. Secret room in the basement (A com/stone area that connects the 2 buildings underground). This particular cellar requires a key. Addition to the images of my plot above, I will be explaining it and giving an update. Also thank you to those who helped me with how to upload those images, lol. 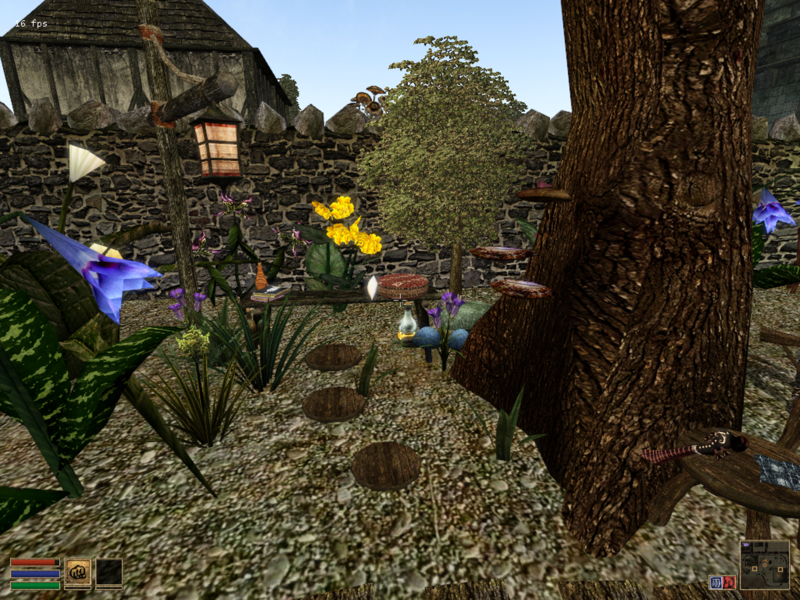 The exterior of my plot will include a garden, with gardener slaves, many herbs, sitting areas, table, etc. This exterior space also includes two buildings; Slave Quarters, and Bagel's Homestead. This interior includes 2 floors, one with a dining area, sitting area, much decor, lots of booze, and access to the basement. 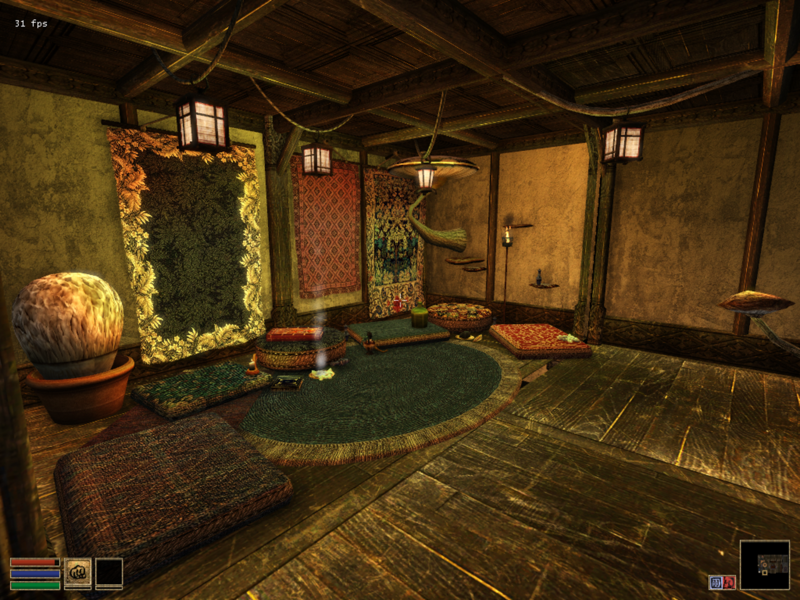 The top floor includes bed, desk, decor, items, NPCs, and quests, etc. The top floor is the living space of Bagel. Slave Quarters (Interior 2)- This interior is where the slaves reside. 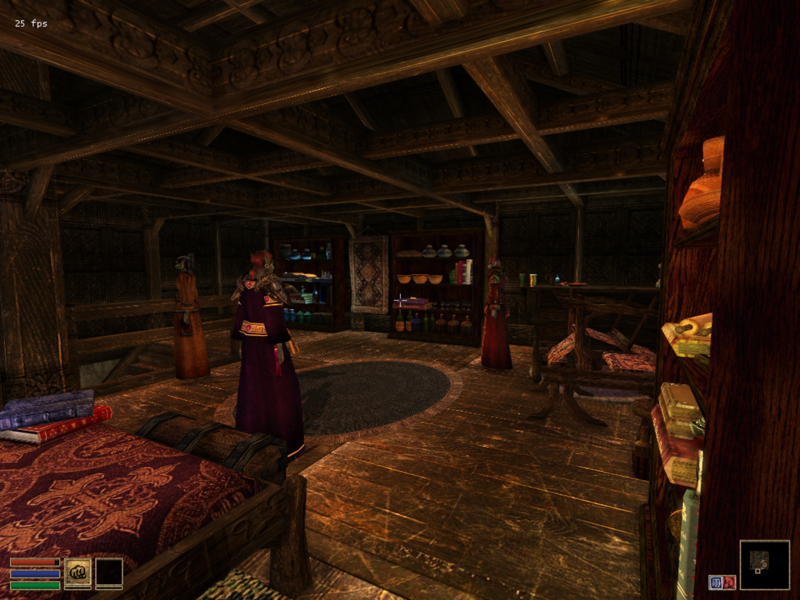 This includes a dining room/kitchen, skooma room, lower floor with beds, storage and table(s). And access to the basement. 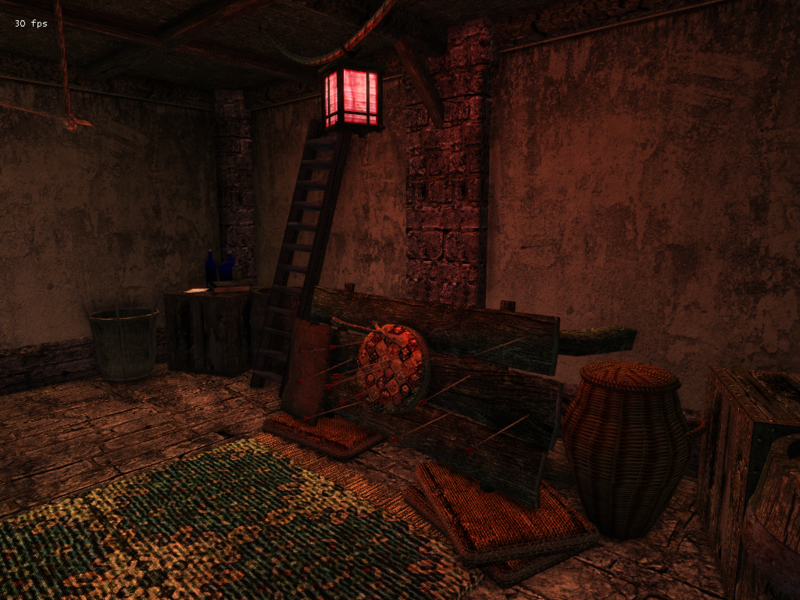 Bagel's Basement (interior 3) - This interior space is a basement that runs underneath both buildings and the homestead. 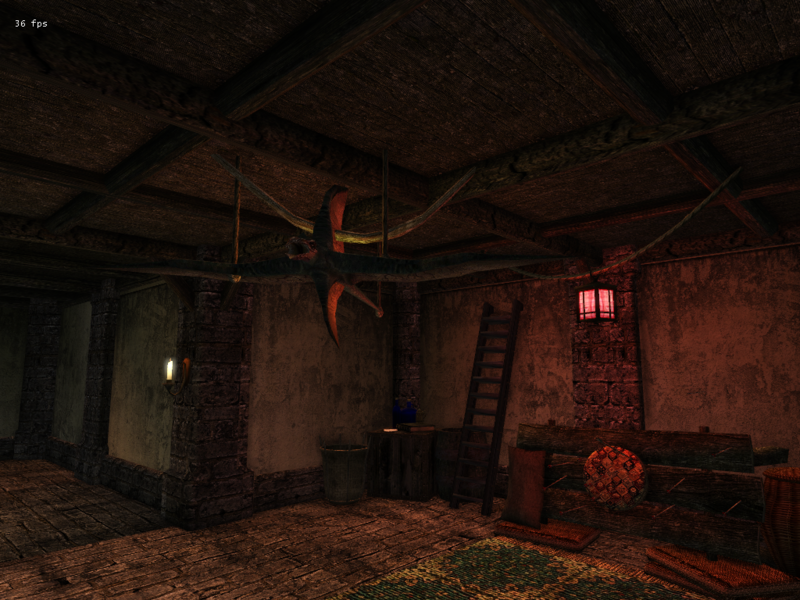 It includes a main hall, with a main room, and a locked room. There will be storage and 'other' things within..
QUESTS; - So far I have added 4 quests (nothing big), planning more (maybe). Some decent progress indeed! It's coming along really well, Bagel. I love what I see so far. It's great seeing how everyone has a different style. Wow! It reminds me of Turkey! (The country, not the animal). While I do see a seam between a wall and the floor it is nice job as it is! 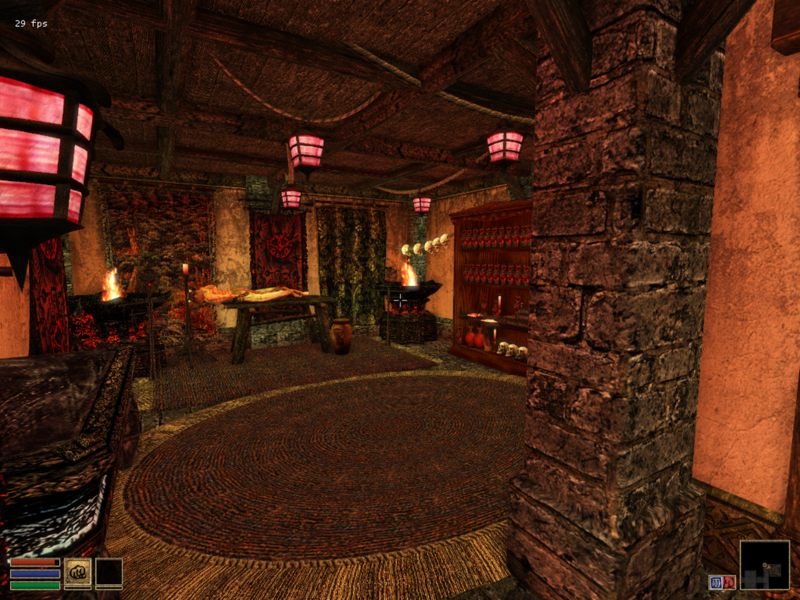 So I have added a couple things, like more clutter in the basement, more decor, and some other things. This is the Smoking den. Second room in the Slave's Quarters on the Homestead. All the Khajiit come here after their shift to get higher than a cliffracer. 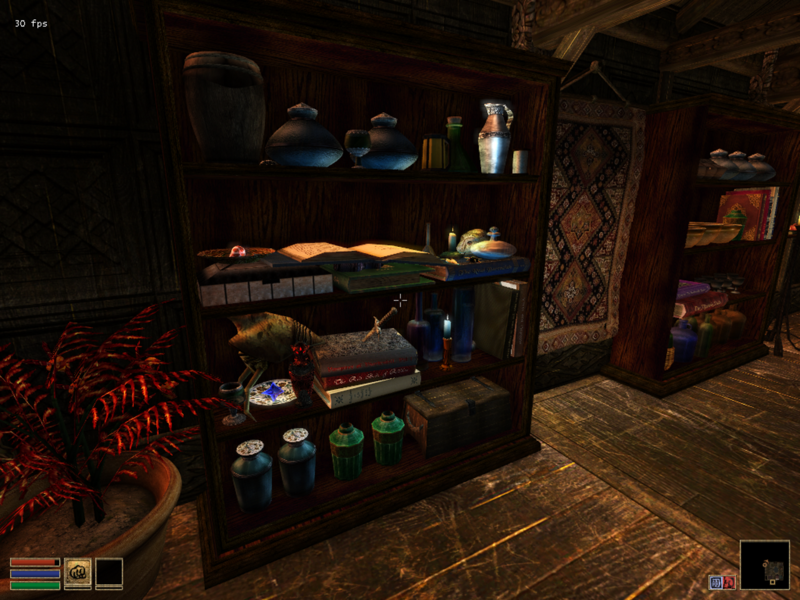 There's skooma, trippy books, bottles, and tons of lounging cushions. Theres also a note to show how some of the slaves slack off in here. The Shrooms growing on the wall represent the drug activities that go on here. Plus it looks cool, especially with the Shelf fungi as actual shelves. Here is entrance 1 of the basement. I need to add more storage/clutter here, but that's that. There's also some of Bagel's commodities on the shelf there, like a Rift Guard helmet. This is a make-shift Target for practicing archery in the basement. It's actually quite cool to go behind the table and look at all the arrowheads piercing through. I'm going to use the Cliffracer Furn item from BM as a stuffed-cliffracer above the basement. You can also see the archery area. Here's more of the smoking den. 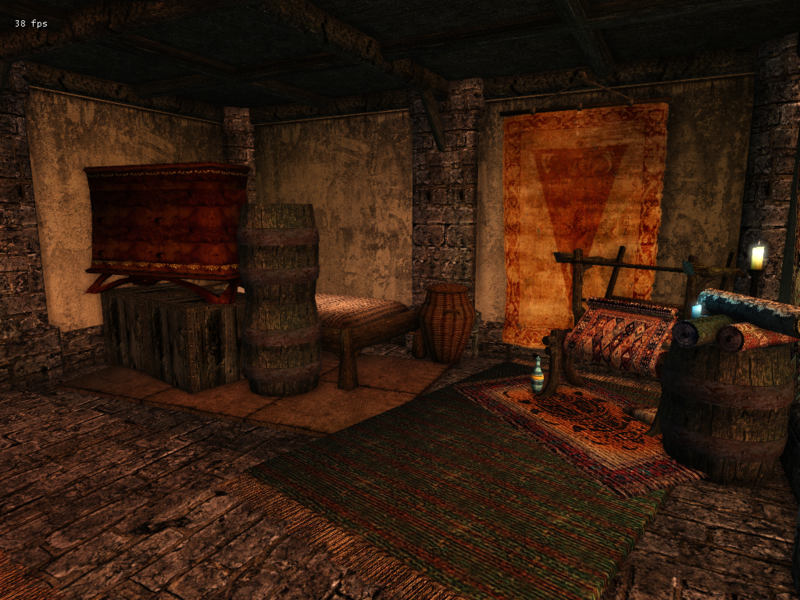 Tapestries, skooma, and cushions galore. I just completed this area actually. 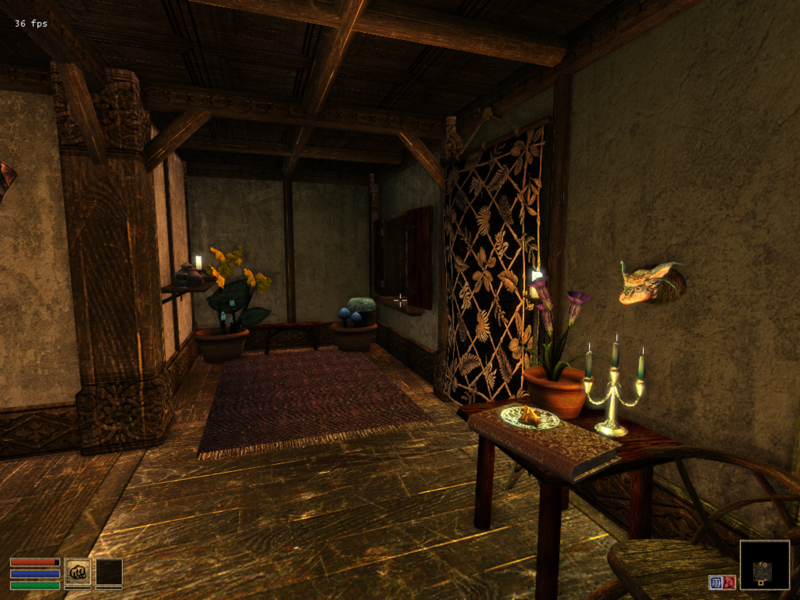 I'm going to add lot's more storage, and random furniture like chairs stacked, and the like. Basically this is where all the storage is well, stored.